Author Paula Stokes: Ten reasons to check out The Art of Lainey for $1.99!! 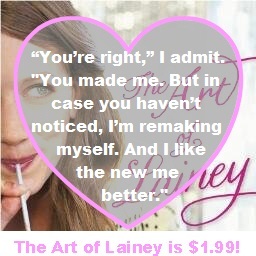 Ten reasons to check out The Art of Lainey for $1.99!! EEEEEEP! 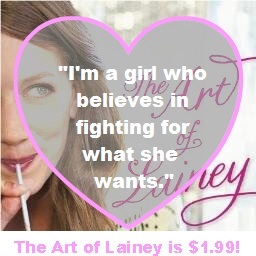 I am so excited that The Art of Lainey is getting an e-book sale in preparation for this month's release of Girl Against the Universe. If you enjoyed GATU, I think you will also like LAINEY! Main character Lainey is snarkier than Maguire, but she grows and changes throughout the story--yay, character development! In a lot of ways I think LAINEY displays some of my best writing. It truly is the book of my heart and I took so much care to craft unique settings and fun characters. 10. It might help you understand The Art of War (or make you want to read it, if you haven't read it yet.) Note: once you read The Art of War, you will start applying it to everything. 8. Sporty girls! Warning: this book might make you want to kick around a soccer ball or go for a run. 7. Ms. Creant's House of Torture (and Pancakes.) I think that name speaks for itself. 5. The strong female friendship between Lainey and Bianca. 4. Lainey's wonderfully wacky parents who are present throughout and do parental things like talk about birth control and give their daughter a curfew. 3. Laugh out loud moments. When you mix a preppy jock with a rocker boy and fold in a cast full of coffeeshop misfits, hilarity is bound to ensue. 2. Girl power. This is not the story of Lainey picking a boyfriend. This is the story of Lainey picking a Lainey. There might be two boys, but this is not a love triangle book. 1. Character development. Yes, Lainey is flawed and yes, trying to scheme warlord-style to win back your boyfriend is probably a bad plan. But sometimes you have to do the wrong thing before you can even figure out what the right thing is. 0. Bonus! Once you're finished reading LAINEY, you'll want to read the 100-page, Micah-flavored,prequel novella called INFINITE REPEAT and the totally free and so adorable you might spontaneously explode into glitter short story/epilogue NEW MUSIC. Ready to invest that coffee money in hours of giggling and swoons? 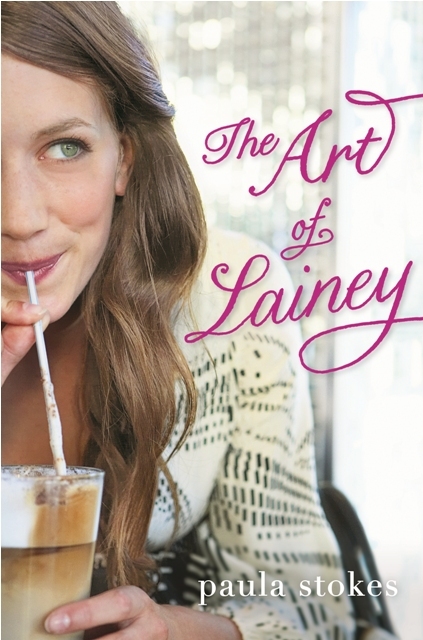 Score a copy of The Art of Lainey for just $1.99 from these retailers. Sorry. Deal may not be available in all countries. Self-discovery, friendship, sports and romance - sounds like an interesting and heartwarming story for all ages. Can't wait for the release!